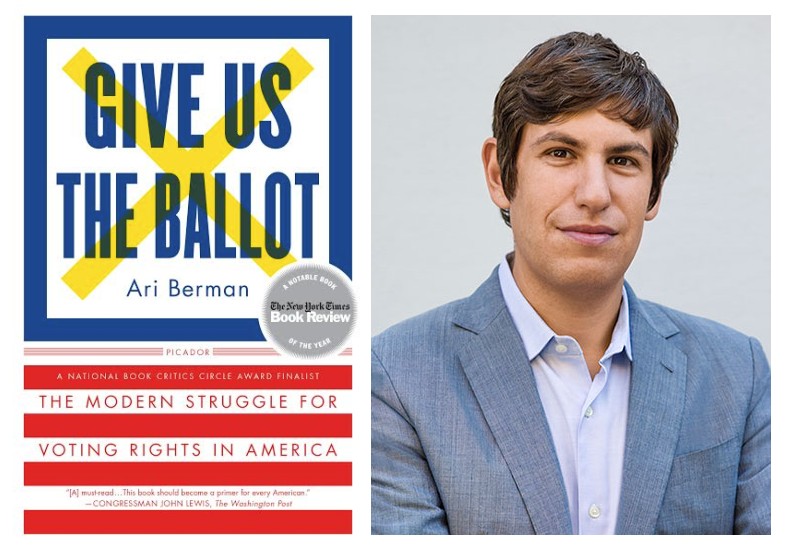 Ari Berman, political correspondent for The Nation Magazine and MSNBC, and nationally-prominent expert on voting rights, will speak at the Goodman Center (149 Waubesa Street, Madison 53704) on Tuesday evening, September 27th at 7pm. 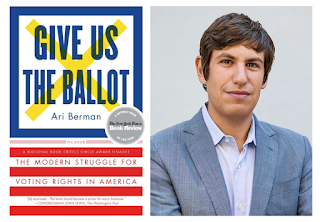 Ari will talk about his just-released new book, Give Us the Ballot, in which he describes the turbulent, on-going struggle over voting rights in America since passage of the Voting Rights Act of 1965 and "provides new insight into one of the most vital political and civil rights issues of our time." Ari is also an expert on the voter suppression that is happening here in Wisconsin. Don't miss this event, which coincidentally, occurs on National Voter Registration Day! And to our friends in northeast Wisconsin: if you can't be in Madison on Tuesday, Ari will also be speaking at UW-Green Bay on Thursday, September 29th -- so please plan to attend, and spread the word about that event as well! Author Ari Berman to Speak in Madison on Tuesday, September 27thTweet this!